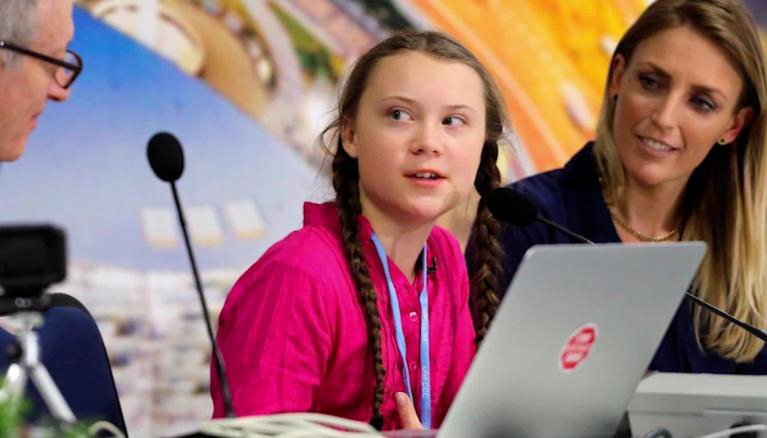 One of the most powerful speeches this year came not from a celebrity or politician, but fifteen-year-old Swedish climate activist Greta Thunberg. While adults mostly patted themselves on their own backs at the COP24 Conference in Poland last week amid strange coal exhibitions, Thunberg didn’t mince words, as you’ll see in the video above. In just over three minutes she spoke what most adults have long been too afraid to say, much less think. RChain was created in large part to facilitate new social coordination technologies that are going to become necessary due to climate change. As sea levels rise and make many coastal cities uninhabitable, and as the increasing strength of storms and fires levels entire cities, humans are going to need to communicate in new ways. Climate change is here and is affecting all of us now. As Thunberg mentions, platitudes and avoidance will not change. But her generation will change the things adults today are too ignorant to tackle. This is a speech every human needs to watch. “My name is Greta Thunberg. I am 15 years old. I am from Sweden. I speak on behalf of Climate Justice Now. Many people say that Sweden is just a small country and it doesn’t matter what we do. But I’ve learned you are never too small to make a difference. And if a few children can get headlines all over the world just by not going to school, then imagine what we could all do together if we really wanted to. But to do that, we have to speak clearly, no matter how uncomfortable that may be. You only speak of green eternal economic growth because you are too scared of being unpopular. You only talk about moving forward with the same bad ideas that got us into this mess, even when the only sensible thing to do is pull the emergency brake. You are not mature enough to tell it like is. Even that burden you leave to us children. The year 2078, I will celebrate my 75th birthday. If I have children maybe they will spend that day with me. Maybe they will ask me about you. Maybe they will ask why you didn’t do anything while there still was time to act. You say you love your children above all else, and yet you are stealing their future in front of their very eyes. Until you start focusing on what needs to be done rather than what is politically possible, there is no hope. We cannot solve a crisis without treating it as a crisis. We need to keep the fossil fuels in the ground, and we need to focus on equity. And if solutions within the system are so impossible to find, maybe we should change the system itself.